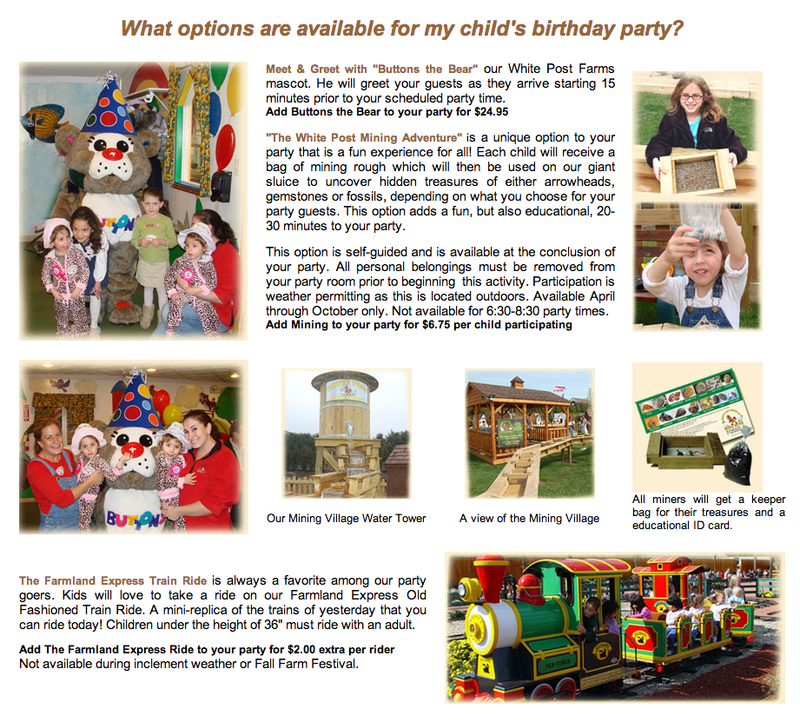 In the farm we have three Birthday rooms and we also have three different packages. Each package has a different price and also includes different services and extra’s you can add like party favors, invitations and much more. 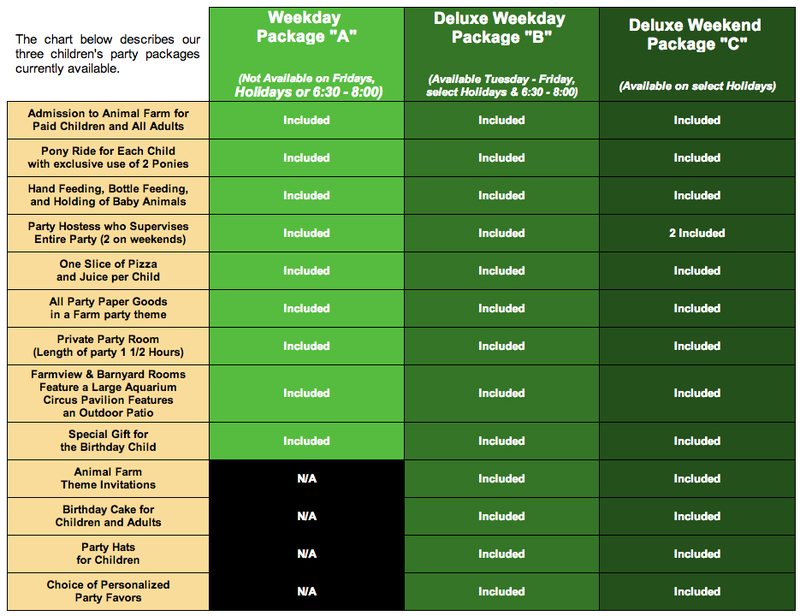 Below you can find a detailed list of all the information you need to know about each package. We only take reservation over the phone, so once you read about the packages simple call 516 628 6867 (ext. 72) for more deatails and prices. We always make sure to do our best to provide you the best option for the best price. Please read below the package options and call for any questions you have.